In order to work in oilfields, companies would have to work in not only previously untouched lands, but highly inaccessible fields. 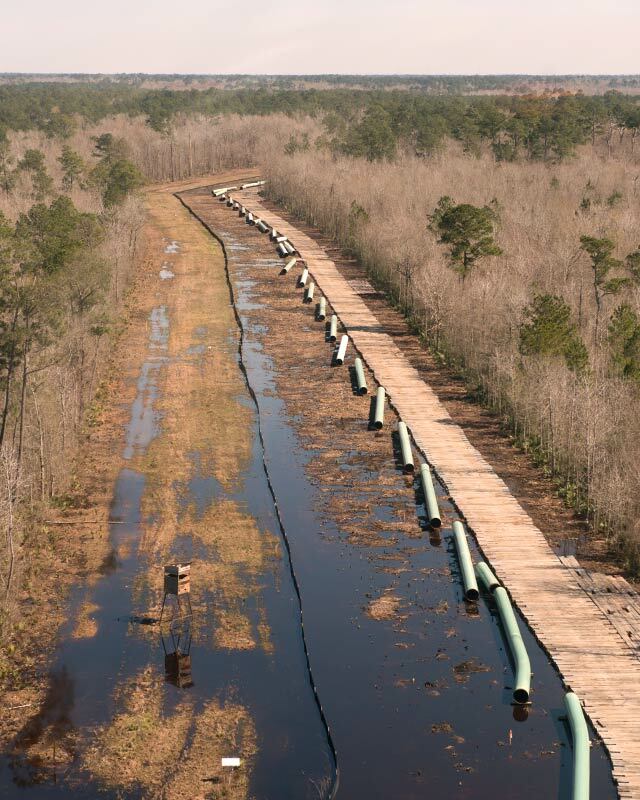 Often these were unstable grounds, covered in mud which is an unstable environment for the trucks, pipeline construction equipment, and other equipment. And, the heavy equipment would tear up the grounds. A safe, environmentally friendly solution was needed. Quality Mat Co. answered with mats made specifically for the pipeline industry. Our pipeline mats have a longer life even with the heaviest loads, and can be shipped at a lower cost. Our mats are set apart with their steel encased construction, oak tops, and full contact treated wood. 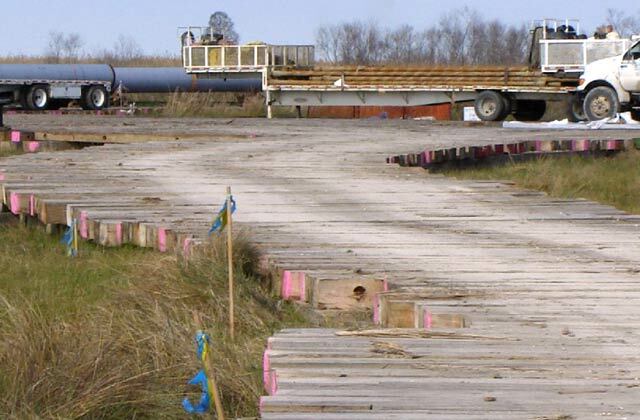 Our pipeline mats are used in many pipeline projects such as the ANR Pipeline, one of the largest natural gas pipeline systems, spanning 10,350 miles from Wisconsin to the Gulf of Mexico. In addition, QMAT worked with Sunland on the Trans Canada pipeline helping with temporary roadway construction over environmentally sensitive areas. 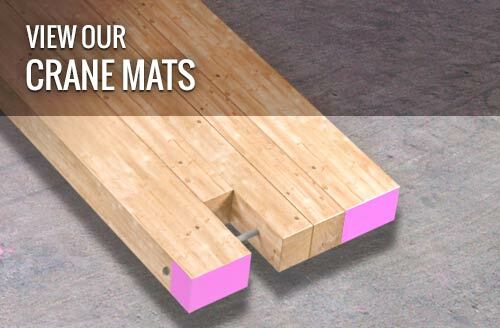 So, whether you need timber mats, pipeline mats, or laminated mats, if it’s for pipeline construction, know that Quality Mat Company has the experience and inventory you need. From mat rentals to custom pipeline mats orders, we’re able to provide it all. And, we provide professional installation around the world. In fact, we’ve been providing mat installation for over 40 years. So rest easy, from the manufacturing, shipping, installation, and reclamation, QMC has you covered. 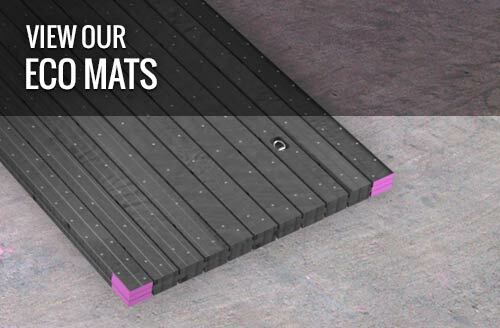 The following mats are most popular with our customers in the pipeline industry. 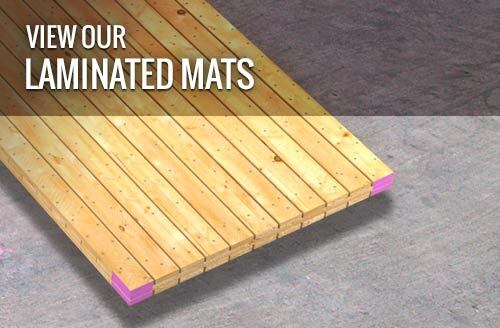 Click on the mats below to learn more or call us at 800-227-8159 with any questions or to get a custom quote. We look forward to assisting you. Our timber pipeline mats typically measure 8″ x 4′ x 18′ and are used for temporary roadways and ground protection to provide a stable work surface in all weather conditions. Along with all of the typical benefits that come with our crane timber mats, our pipeline mats are strong and resilient. Built with an air wick channel along the bottom, oak top and full contact treated wood along the interior and steel casing our wood ground protection mats are designed for the pipeline industry. Long Life – The construction of our pipeline mats, much like our crane mats, supports a long life. When you need a ground protection mat to support heavy equipment on a daily basis, you often want to invest in a product that will carry you through projects through the decade. That’s exactly what our pipeline mats provide with an expected life ranging from 3 – 5 years. 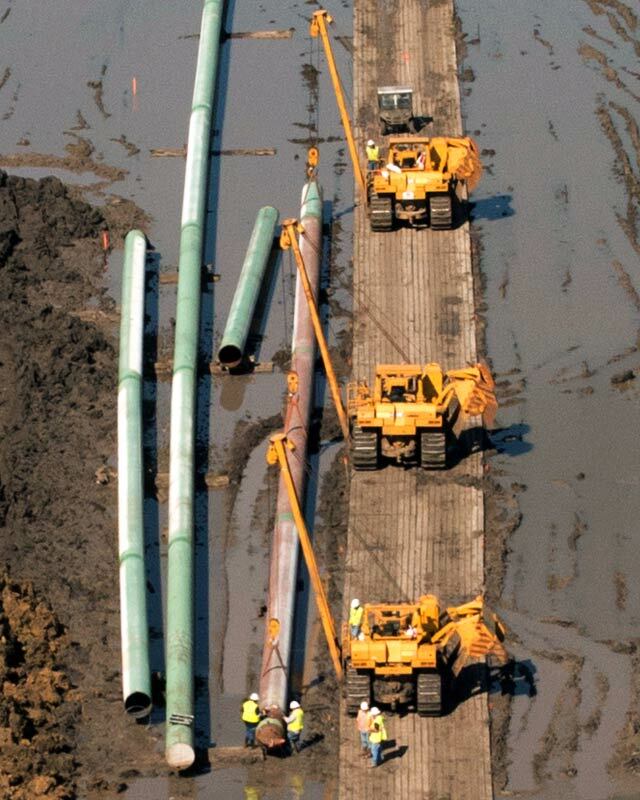 Ground Protection – Pipeline projects run along farms, undeveloped forests and other environmentally sensitive areas. Our green crane or timber mats stay above the ground which allows for a shorter regrowth of the natural grass and land underneath. This way your project stays as green and environmentally friendly as can be, and the land goes back to the way it was within days, rather than months after a project is completed. Inventory – We keep the largest in-stock inventory of any company – it’s our promise to have mats available when you need them. Whether known as digging mats, crane mats or ground protection mats, our single purpose pipeline mats are the stronger, lighter solution for your job. These are the ground protection mats that will make your pipeline project affordable and completed on time. Contact Quality Mat for your quote by phone at 1-800-227-8159 or contact us at our form.